As the Baby Boomers age, concerns over healthcare systems’ abilities to accommodate geriatric patients grow increasingly challenging. This is especially true with the population deemed to be “the oldest of the old,” specifically those over the age of 85. Unlike any other time in history, this demographic is the fastest growing segment of most developed countries. In the United States the oldest old is projected to double from 4.3 million to 9.6 million by 2030. The increased life expectancy of the population since the early 1900s has been built on the improvement of living conditions, diet, public health and advancement in medical care. With this we have seen a steady decline in the age-specific prevalence of vascular and heart diseases, stroke and even dementia. Older persons are healthier today than their counterparts decades ago. 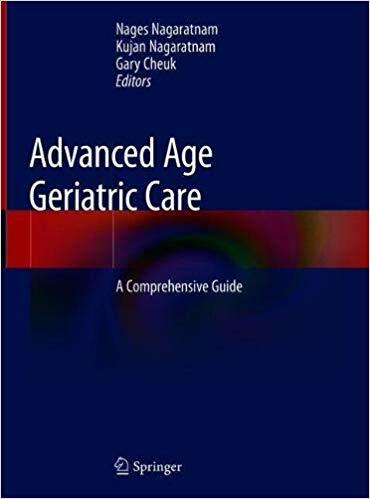 More importantly than in any other age group, the care of the oldest old must be individualized; management decisions should be made taking into consideration the older persons’ expressed wishes, quality of life, function and mental capacity. The inevitable consequence is that there will be an increase in the prevalence of older persons with chronic diseases, multiple co-existing pathologies and neuro-degenerative diseases. The oldest of the aging population are often excluded from drug trials and their treatments are largely based on findings extrapolated from that of the younger old. Furthermore, among the oldest old, physiologically they are more diverse than other segments of the population. Their demographic characteristics are unparalleled and different compared to that of the younger old. Several studies have drawn attention to the differing attitudes among health professionals towards elderly people and many show prejudice because they are old. As a result, the use of age as a criteria in determining the appropriateness of treatment is of very limited validity, yet there are limited resources that guide physicians through these challenges. This book creates a greater awareness of these challenges and offers practical guidelines for working within the infrastructures vital to this demographic. 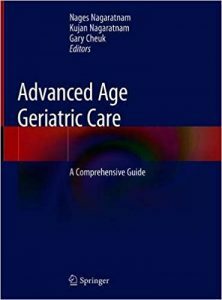 This book is designed for geriatricians, primary care physicians, junior medical officers, specialty geriatrics nurses, and gerontologists. It is divided into 3 sections: General Considerations, Chronic diseases and Geriatric Syndromes. Each chapter provides a summary of important and essential information under the heading of Key Points. Case studies are included in some of the chapters to highlight the principles of management.